UPDATE: Just weeks after the historic UN appointment of Thailand's Vitit Muntarbhorn as its first-ever independent expert on sexual orientation and gender identity, a group of countries put forward a resolution before the United Nations to delay the creation of the position indefinitely. This attempt to roll back LGBTQ human rights was widely condemned, and the Human Rights Campaign joined hundreds of civil society organizations from around the world to strongly oppose it. On November 21 the UN voted 84-77 (with 17 abstentions) to uphold the Human Rights Council's appointment and allow Muntarbhorn to take up his position. This important vote was welcomed by HRC and LGBTQ advocates worldwide. 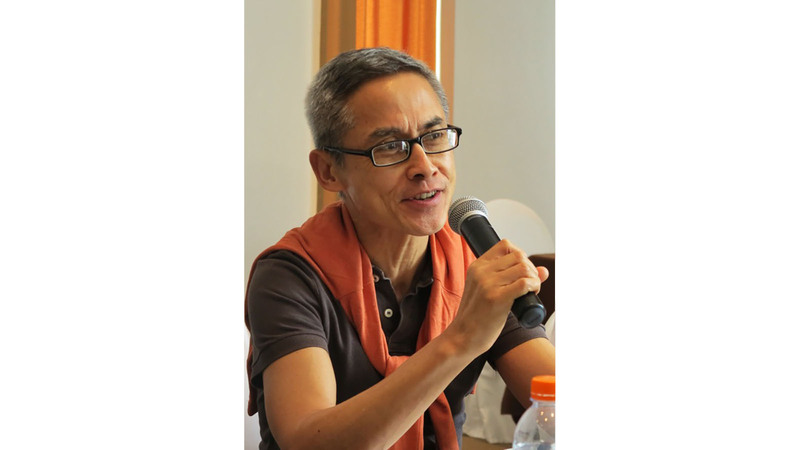 Today the United Nations (U.N.) officially appointed Vitit Muntarbhorn of Thailand to serve as its first-ever Independent Expert on protection against violence and discrimination based on sexual orientation and gender identity. After a vote at the U.N. Human Rights Council to create this position in June, the Council launched a search for qualified candidates that resulted in today’s approval of Muntarbhorn. "This is a huge step forward for LGBTQ human rights worldwide," said Ty Cobb, Director of HRC Global. "Professor Muntarbhorn brings a wealth of experience to this position and will help to ensure that the U.N. follows through on its commitments to combating violence and discrimination against LGBTQ people." Muntarbhorn is a Professor Emeritus of Law at Chulalongkorn University in Bangkok, Thailand and has worked on a variety of human rights issues - including as the co-chair of the committee that drafted the 2006 Yogyakarta Principles on human rights, sexual orientation and gender identity. He has also served in several high level roles at the U.N., including Special Rapporteur on the Sale of Children, Special Rapporteur on North Korea and technical adviser to the United Nations Development Programme (UNDP) on LGBTQ issues in Asia. As HRC reported in June following the Human Rights Council vote, the new independent expert will assess the state of LGBTQ human rights, liaise with LGBTQ advocates and allies around the world and engage with governments and civil society to make recommendations for combating violence and discrimination against LGBTQ people. In addition, the expert will serve as a bridge between the U.N. Human Rights Council and the organization’s General Assembly, and be empowered to issue private communications to governments, including in emergency situations. In today’s decision, representatives from Saudi Arabia, speaking for the states of the Organization of Islamic Cooperation (excluding Albania), and Russia noted that they opposed the appointment of the Independent Expert, and their countries would not cooperate with the position. "We look forward to working with Professor Muntarbhorn to ensure he can be as successful as possible and establish the position on strong footing for the future," said Cobb. "An expert like this can have enormous impact and we look forward to ensuring that Muntarbhorn has the support he needs to protect the human rights and dignity of LGBTQ people around the world."